So, as it turns out, planning a wedding isn’t all that easy. Although I love to plan, there’s a certain kind of stress that comes with planning the biggest party of your life. For me, the most stressful part was picking a date and a venue. Now that that’s finally done, I can get down to some of the fun bits, like picking my wedding photographer and florist. I’m trying to stay organized, so I have a trifecta of stationary to help me out. I’m using this cute journal to jot down all of my wedding ideas and notes from visits with vendors. I’ve also been using this Wedding Planning Spreadsheet to organize vendors and to keep track of costs and vendors as they change. To get inspiration and ideas, I’m using this fantastic wedding book by Martha Stewart. The Martha Stewart Weddings: Ideas and Inspiration. This book is filled with gorgeous photos, tips, ideas and tricks to plan your wedding. From the very beginning (how to celebrate your engagement, choosing a venue and theme, narrowing down guest list) to the more minute details (what style of dress, what type of bouquet, invitation design) Martha is there to guide you with picture perfect ideas and advice. It turns out that I know nothing about flowers (except that all of the flowers I like are out of season for my wedding) so I found that section especially helpful. For organization, I was very excited to see that Kate Spade has a journal wedding planning book.The Kate Spade: Love is in the Air Bridal Planner is a large 3 ring binder notebook, complete with pouches and folders to hold wedding contracts and inspiration. 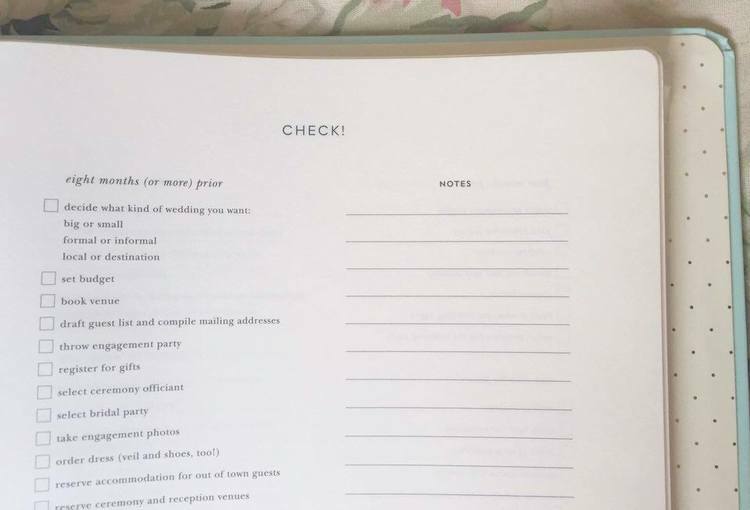 There are lots of checklists counting down towards the big day, blank pages where you can add in your favourite floral styles and dress ideas, and sections for budgets and guest list. It’s very helpful and great to have! 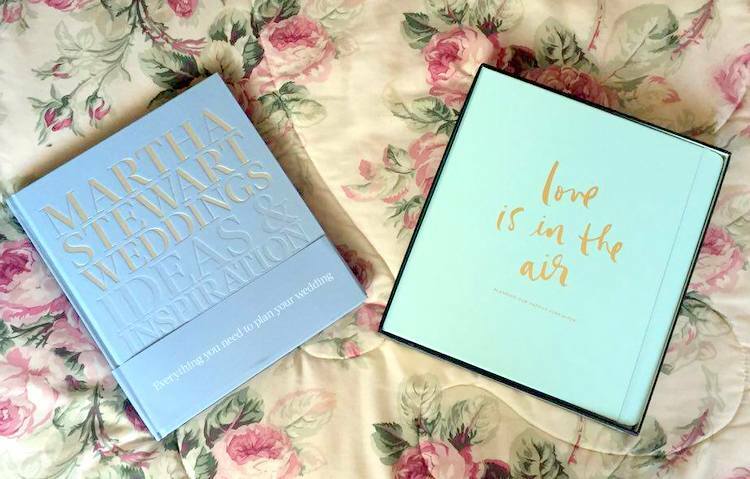 Both of these books can be found in the new Wedding Shop online at Indigo. The Wedding Shop is packed with over 800 wedding essentials to celebrate, plan and shop for your wedding. From engagement to wedding gifts, you’ll find it all here. My favourite section is the Kate Spade section. Not only do they have a selection of stationary, home decor and decorations, they also have the brand new All In Good Taste collection. How did you plan your wedding? Or are you planning your own right now? Share in the comments!